← Mobile Food Truck arrives in just a few days!! 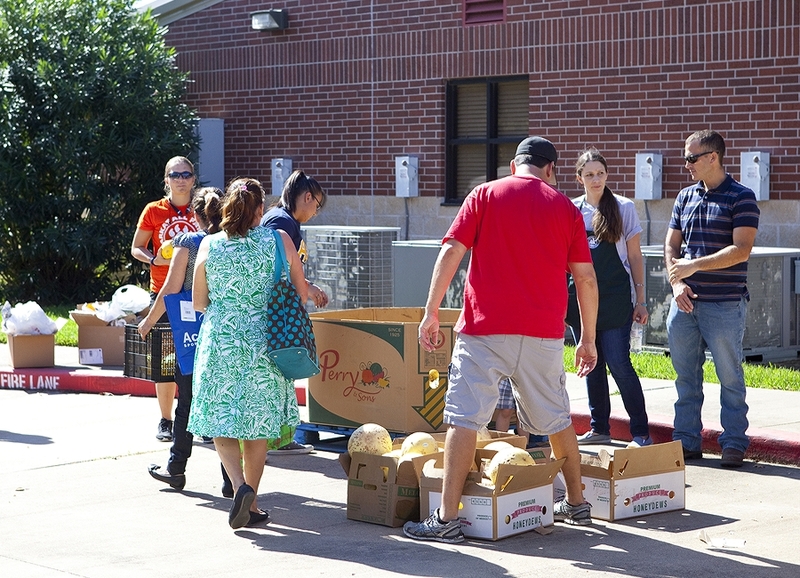 Mobile Food Truck delivers fresh produce to over 400! We were blessed with a gorgeous Saturday morning for pouring out love for our fellow citizens of Walker County! 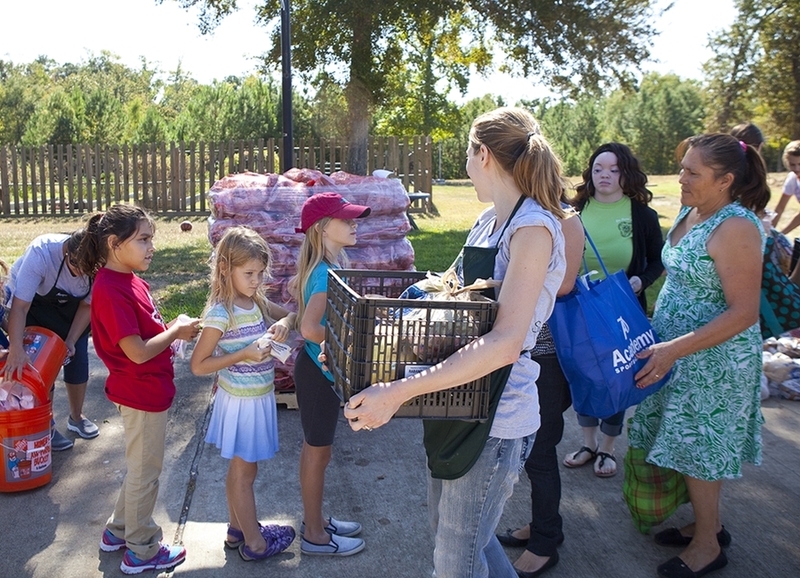 The Houston Food Bank delivered a wide range of fruits and vegetables including potatoes, radishes, squash, watermelons, greens and more! 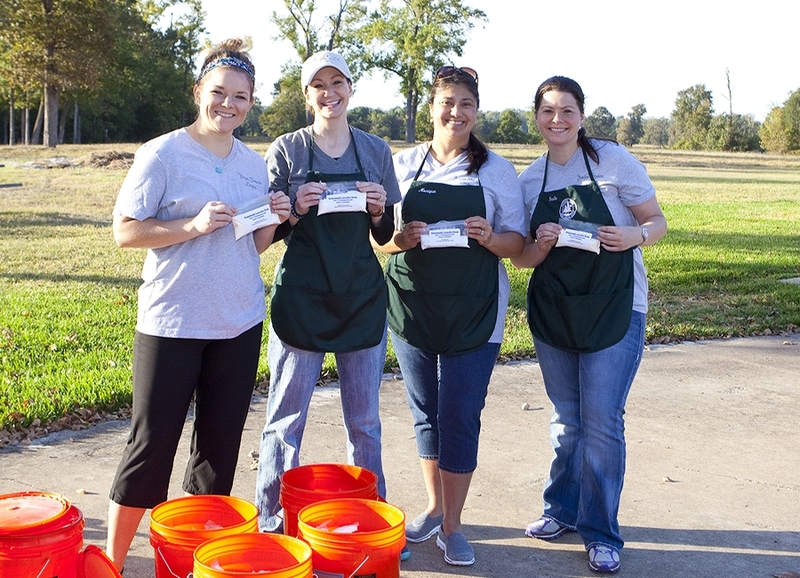 Because of our recent Service Social, we were able to pass out homemade laundry soap to all who attended as well. 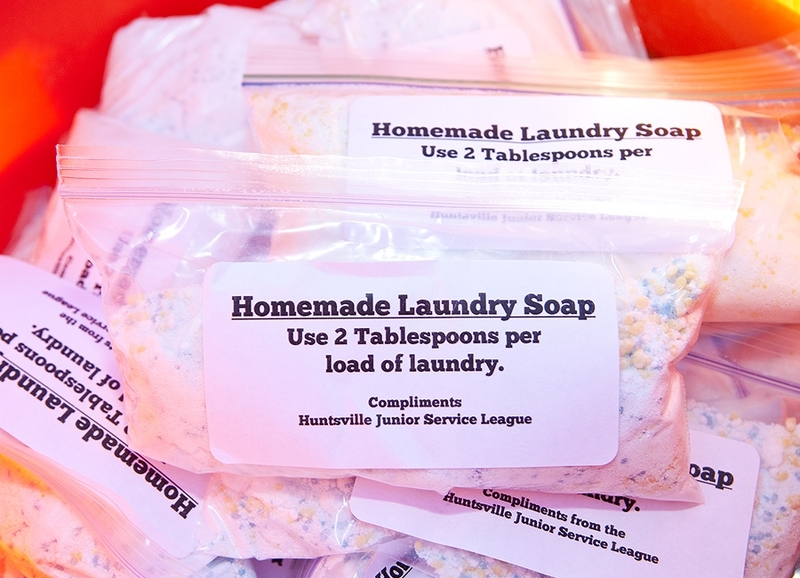 Each bag we gave away held enough soap for 3-5 loads of laundry. We were thrilled to be able to make another service available on this day of blessings. 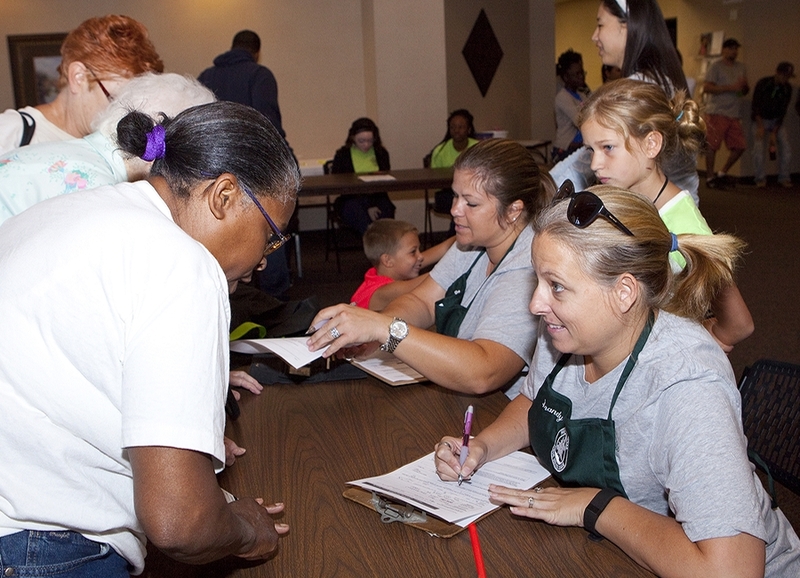 More than 150 families representing more than 400 people in our community were able to benefit from this service! It was a pleasure to work alongside many community members to help so many of our neighbors who could really use the help! Thank you to Huntsville Church of Christ for being an awesome partner and opening your doors to the JSL and our guests!! 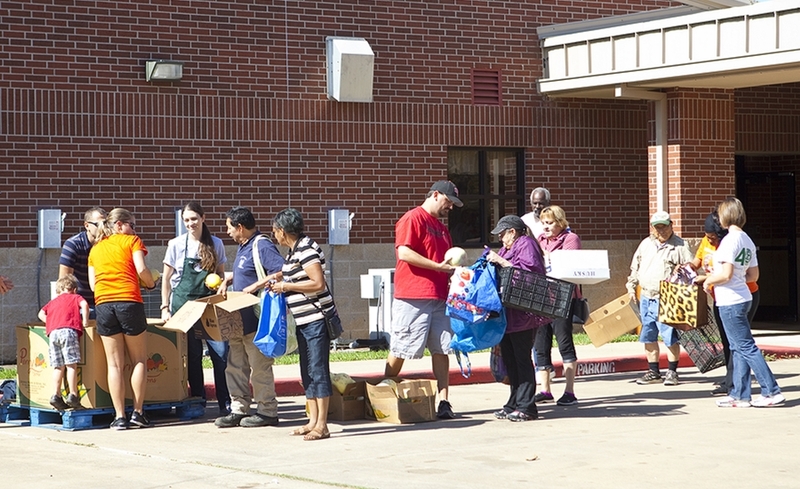 Also, thank you to all the groups and individuals who came to serve together – American Heritage Girl, Alpha Omega Academy, and Huntsville Church of Christ, and Sam Houston State University. The Huntsville Junior Service League could not make this event happen without the help of others. 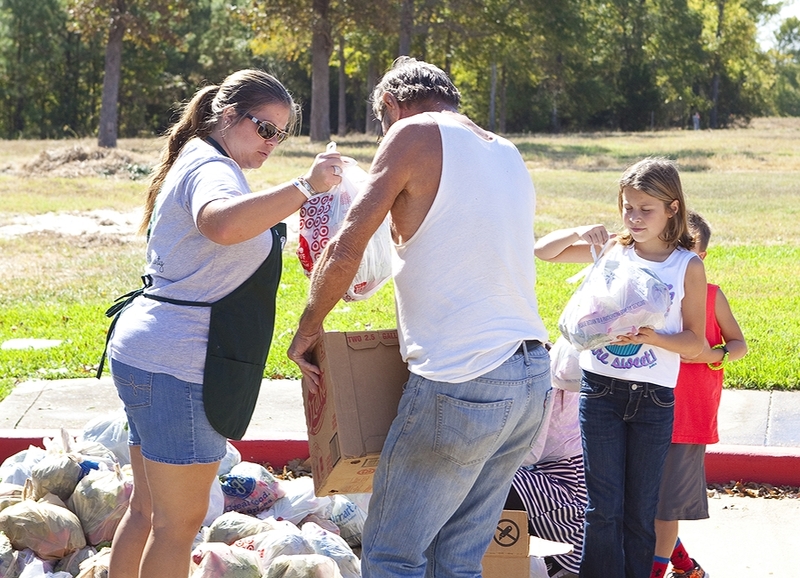 We appreciate each and every person who joins us to make such a big impact in our community! !